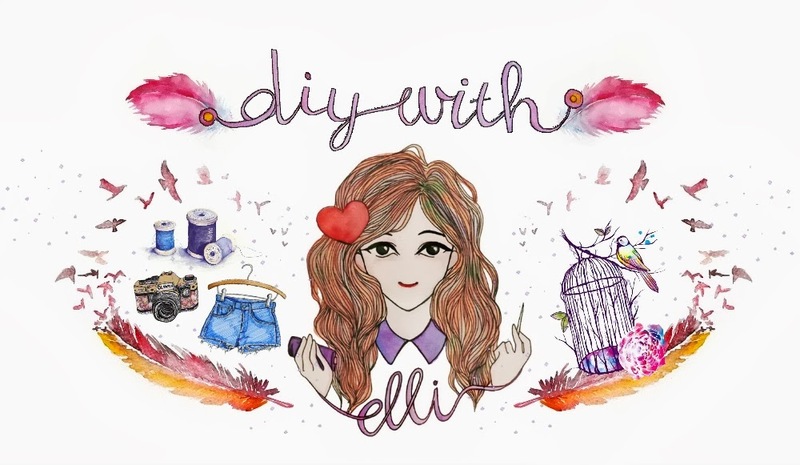 I have another DIY tutorial for you guys! Today I will show you how I made this baseball tee. I didn't want to make a basic baseball tee, so I made another version of it. 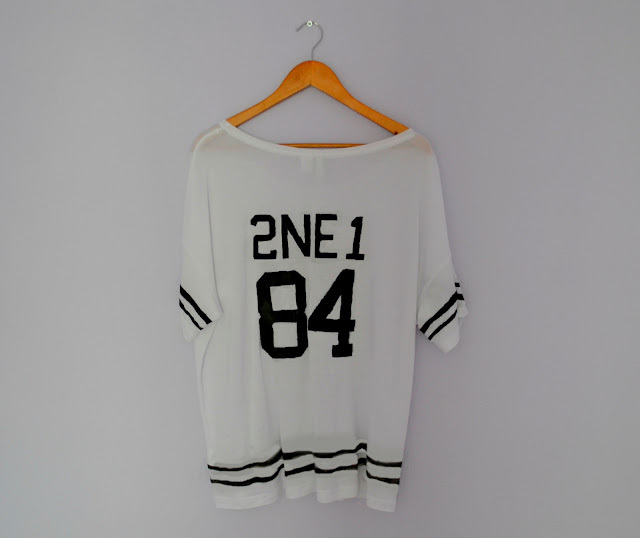 This is a 2NE1 baseball tee with a members' name on the front and the band name on the back. The number is the birth date of the member, but then only the last two numbers (for example if she's born in 1984, the number on the tee is 84). Of course you don't have to use the 2NE1 concept. You can do it for any other band or singer (like EXO, Big Bang, SHINee, SNSD etc.) I'm just going to show you the basic technique of making a baseball tee. 1. Search for a template and then print it out. Then lay your shirt down on a piece of cardboard or just anything that protects the ground. Put a smaller piece of cardboard inside the t-shirt to divide the front and back. This will prevent fabric spots on the back. 2. Take 3 pieces of tape and stick them on every sleeve. And also put 3 pieces of tape below the tee. 3. Now the fun part! Take your sponge and just fill in the gaps. Be careful and don't rush. Just take your time. If you want a perfect and neatly result, I recommend using a normal paintbrush. But if you're lazy like me you just can use a sponge. 4. Let it dry and then repeat the same process on the back. 5. While the fabric paint is drying you can cut out the template. Put it on the t-shirt and paint it again. 6. Repeat the same process, but then on the back. Make sure to secure the paper on the t-shirt. If you fck up you can take some white fabric paint and erase the wrong parts. 7. Let it dry and if you're using the same fabric paint as I do then iron it. If you have another brand of fabric paint you can skip this step. 8. And now you're done! Thanks for reading. I hope you like. Stay tuned for a special post tomorrow! OMG I love this DIY! Im totally making a CL one! Thank you for this post! Oh my gosh, wow! This turned out so amazingly well. Thank you :D Good luck!! Wauuw, this DIY is really cool. Your blog really is a great source of inspiration for me. Thank you for sharing all your amazing posts! May I ask which store you got your plain white t-shirt from? I've been searching everywhere for one like that. i also love 2ne1, deym nice one!